develop a care plan that is responsive to the family’s strengths, needs and choices. Iowa EPSDT screening requirements include comprehensive histories, physical exams, age-appropriate screenings, immunizations and anticipatory guidance. 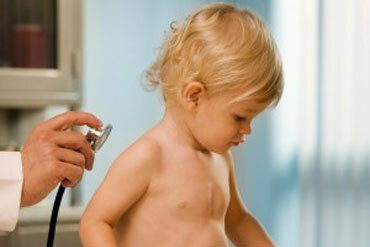 As part of EPSDT screening, all children should receive regular well-child checkups to detect potential problems. Refer to the Iowa Periodicity Schedule and explanation for additional information on required EPSDT screenings. This website provides additional information about developmental screening and care, and mental health screening and care. The determination of whether a screening service outside of the Periodicity Schedule is necessary may be made by the child’s physician or dentist, or by a health, developmental or educational professional outside the formal health care system. Comprehensive histories and assessment of physical and mental health, development, and nutrition. Bright Futures is an excellent resource for providing comprehensive care. To assess family risk factors: Use the Bright Futures Pediatric Intake Form. 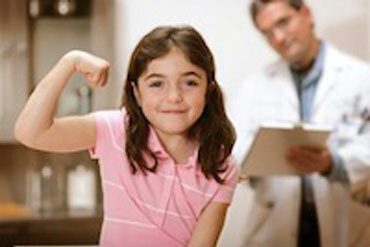 Age-appropriate immunizations: Follow CDC immunization guidelines. AAP provides guidance on pediatric vision screening and hearing assessments for infants and children. Iowa law requires vision screening for children in kindergarten and third grade, and hearing screening of all newborns. Iowa law requires that children under the age of 12 years who receive Medicaid must have a dental home. See the I-Smile Dental Home Initiative and visit our Periodicity Schedule page for more information. AAP provides Oral Health Practice Tools for guidance on the oral health exam. Age-appropriate laboratory tests, including blood lead level assessments at certain ages. Bright Futures is an excellent resource and provides Family Materials. Iowa State University provides anticipatory guidance handouts for families. Download a series of "Ages and Stages" brochures at no cost from ISU Extension and Outreach. These brochures are also available in a Spanish version, Edades. The Iowa EPSDT Periodicity Schedule provides health maintenance recommendations and information about the frequency and content of each EPSDT well-child/preventative health screening exam. EPSDT Care for Kids recommends the Bright Futures: Guidelines for Health Supervision of Infants, Children, and Adolescents, 4th Edition. In addition to this book and pocket guide, Bright Futures offers tool kits, including pre-visit questionnaires, visit forms, and educational material for families.